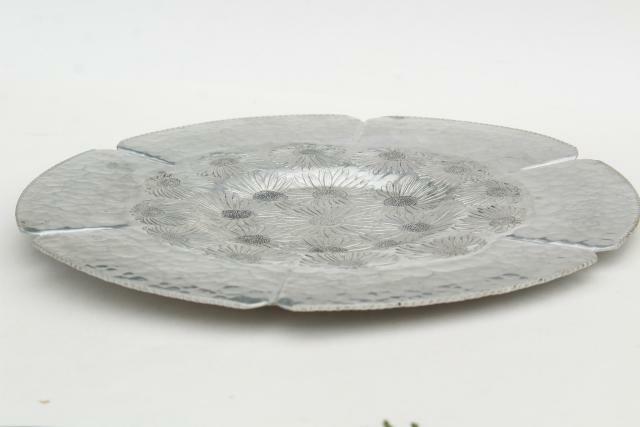 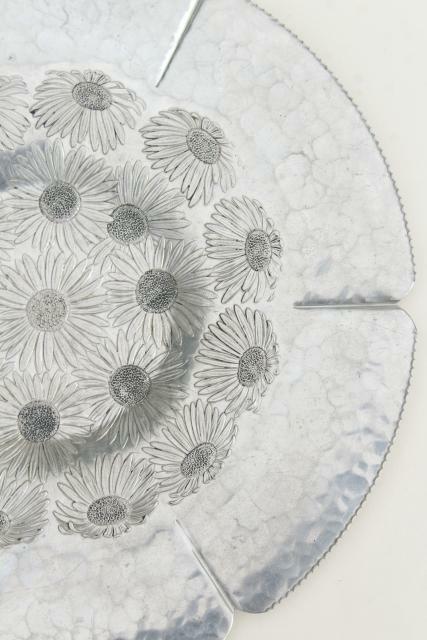 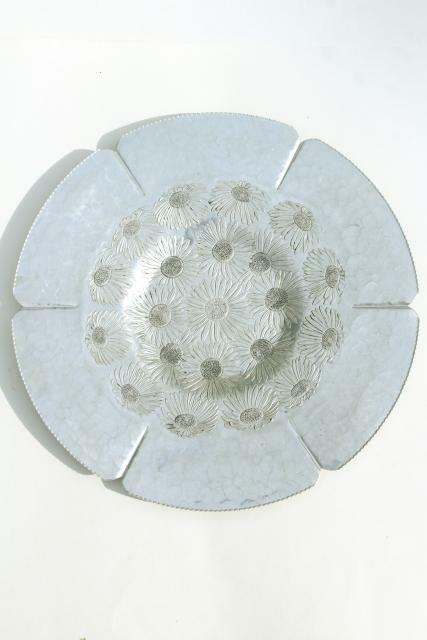 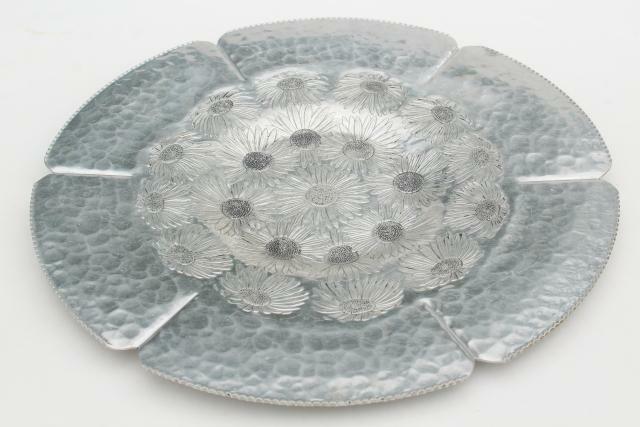 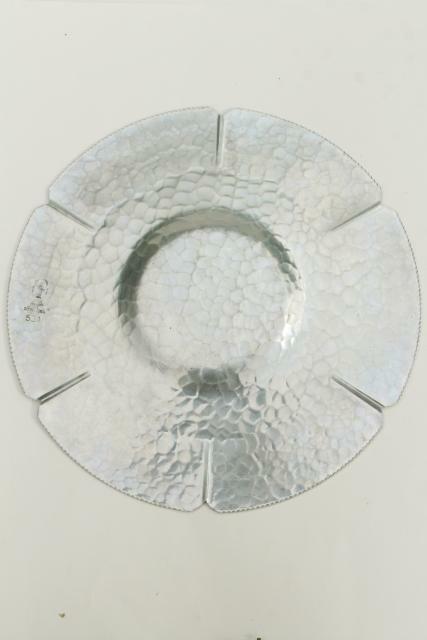 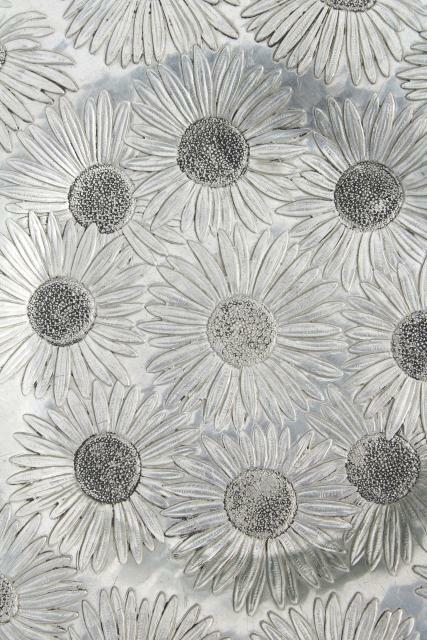 Mid century mod vintage aluminum serving tray or large round platter or cake plate with a great hammered texture and chrysanthemums or daisy pattern floral. 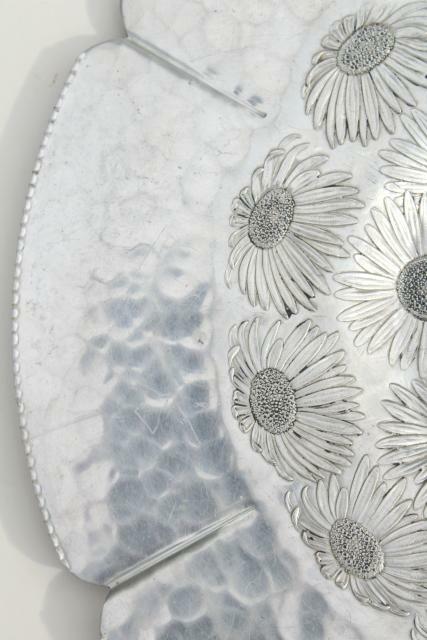 This measures about 14" in diameter overall. 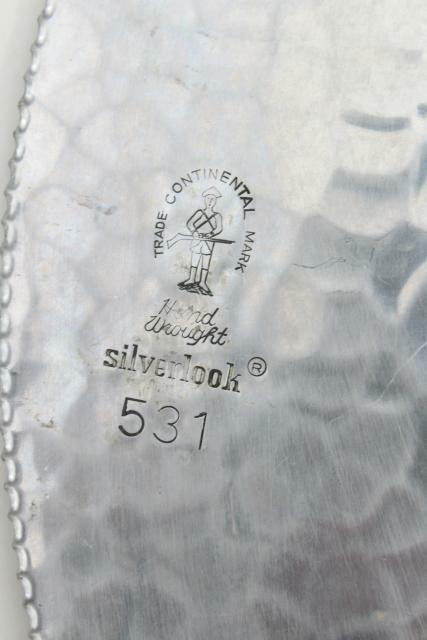 It's showing a little light scratching and dulling from age and use... a good polishing would help this to shine!